Pricing psychology is more essential than ever to position your business for success in the marketplace. In fact, its use dates back at least to the late 19th century, as newspapers battled for readership supremacy. Nowadays, consumers are inundated with sales offers at every turn, and while today’s technology makes it easier than ever to reach prospective customers, it also means that your message is more likely to get lost in the shuffle. Yet, the key to distinguishing your product or service from your competitors lies in how well you grasp the conscious and subconscious thought processes that governs the decision-making of your target customer base. 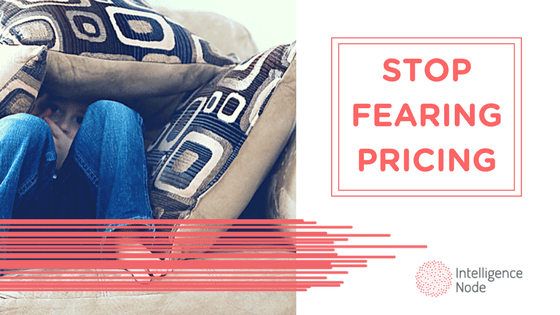 In many cases, pricing psychology doesn’t require a complete overhaul of your pricing strategy. After all, even $9.95 has proven to perform better with customers than an even $10 (thanks to the much-discussed left digit effect). Still, there are a few basic concepts that can help inform you how best to adjust your pricing and increase your reach. Perhaps it goes without saying that simplicity is key when crafting a pricing offer, but it may be tempting at times to devise a more sophisticated way to pitch your product or service to customers. However, the longer a price or offer takes to process, the more likely prospective customers will simply move on. Because of this, focus more on prices that feature either round prices like $100 or generally accepted alternatives like $99.99 rather than oddball options like $99.87. For a similar reason, research shows that prices that take less time to say also serve as easier decisions for consumers. In tandem with simple, easy-to-understand offers is the need for your prices to include some form of context for prospective customers. Gaining greater insight into your consumers can help guide how you portray your product or service and establish how much work you need to do to convey the inherent value. This is especially true for niche markets, as customers may not realize the full effectiveness of the offer or how it fits into the larger marketplace. After all, without some familiarity with what constitutes a “good price”, customers are unlikely to engage your product or service. Regardless of how great the value really is, consumers are far more likely to make a purchase when there is a perceived savings involved. Luckily, there are tons of strategic ways to create the illusion that you’re offering a tremendous discount without sacrificing profits. One of the most popular is the use of anchoring, a tactic that associates a new price with comparative pricing or even products. Displaying a more costly price point or premium versions of products alongside your sales item can highlight the intrinsic value and create an easier, more attractive purchase decision. For some products (such as those in technology), consumers associate a more expensive product or service with a higher level of quality. Take Apple, for instance, that relies on the exclusivity of its streamlined product offerings to justify rigid prices that often eclipse the company’s competitors. This approach doesn’t always yield results, and it does depend on elements like your product image and the features your product or service provides. Regardless, it’s reassuring to know that customers don’t always opt for simply the lowest price, at least with regard to purchases intended to serve as a long-term solution. 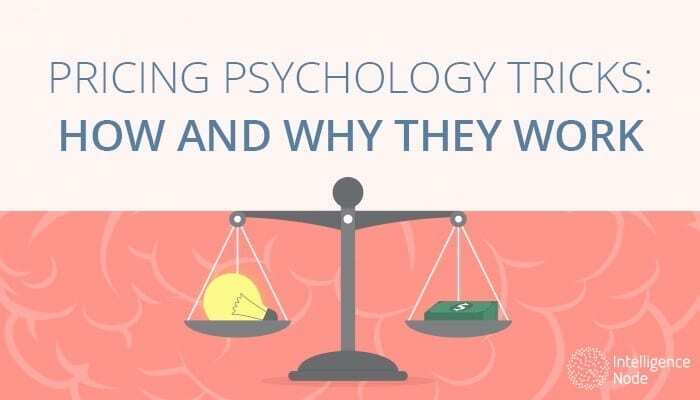 This might be the most essential part of pricing psychology, and it’s one that many businesses still need to come to terms with. Due to the instant gratification of making a purchase decision, people are typically pre-programed to want to spend money on products and services. They simply need an excuse to do so with minimum guilt. Therefore, your pricing strategy should hinge on reducing the number of “pain points” that prevent consumers from saying “yes” to what your business has to offer. Eliminating aspects of your offer that cause buyer hesitation can not only boost sales but result in higher levels of customer satisfaction and retention. Nailing down the ideal pricing strategy for your business may seem like a tricky task, but the first step is to acknowledge the complexity involved in designing a successful price point. The development of fine-tuned buyer personas and the integration of pricing psychology methods will bring you that much closer to maximizing the impact you make on potential customers. Of course, which approaches work for you will depend largely on your industry and target buyers. Nevertheless, the invaluable knowledge of how consumers at large perceive prices will equip you with the tools you need to start the process of elevating your business.